This very high quality knife has an Alabama Damascus Steel blade with a genuine Sambar stag hidden tang handle and brass guard. This will be our standard knife for the PRIMITIVE POUCH SHEATH. The blade is 6″ long, 3/16″ thick, and the handle is 4 1/2″-5″ long. However, you can get this sheath made for any knife size we offer-or one of yours. We can also make any of our sheaths to fit the new Savage knife. Very limited supply – call for pricing. 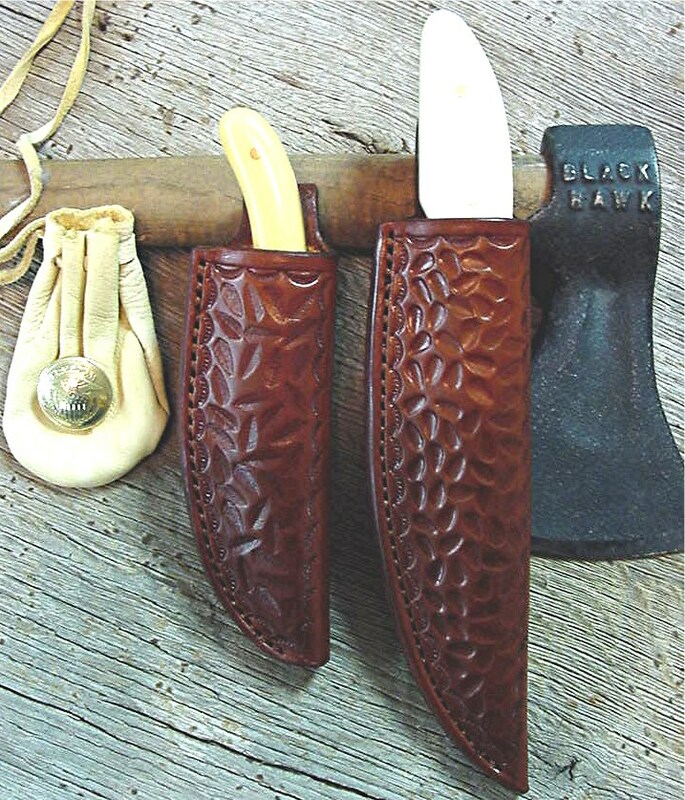 Primitive pouch sheaths shown with natural “Rustication” hand tooling. The knife stays secure in the pouch without a retaining strap. 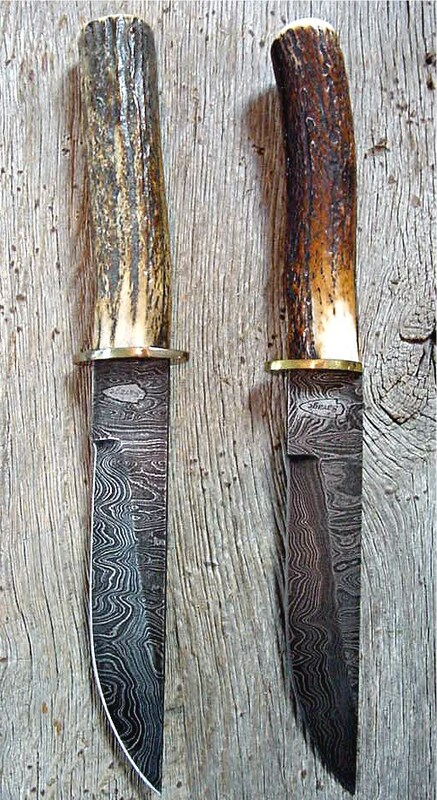 As shown, small and medium ~ $99.95 without knife. Sheaths occasionally available with knives- POR. 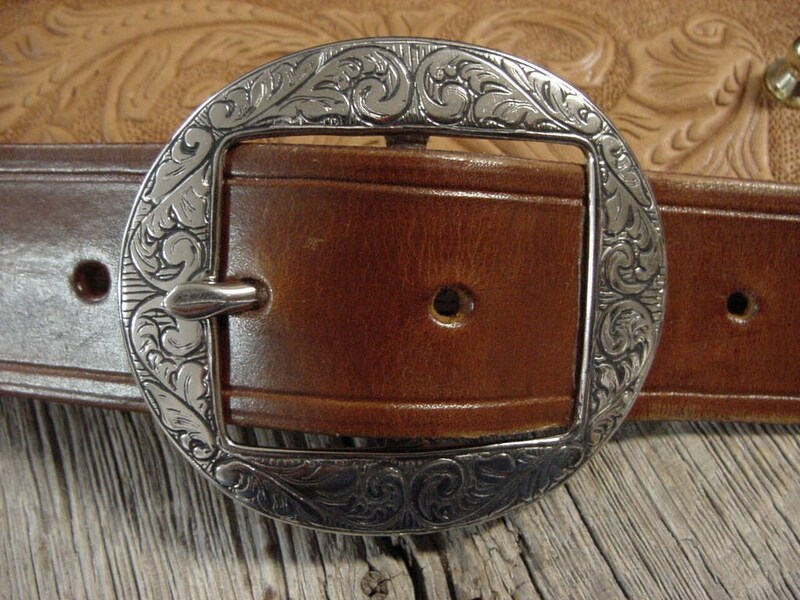 This buckle will be discounted to $39.95. 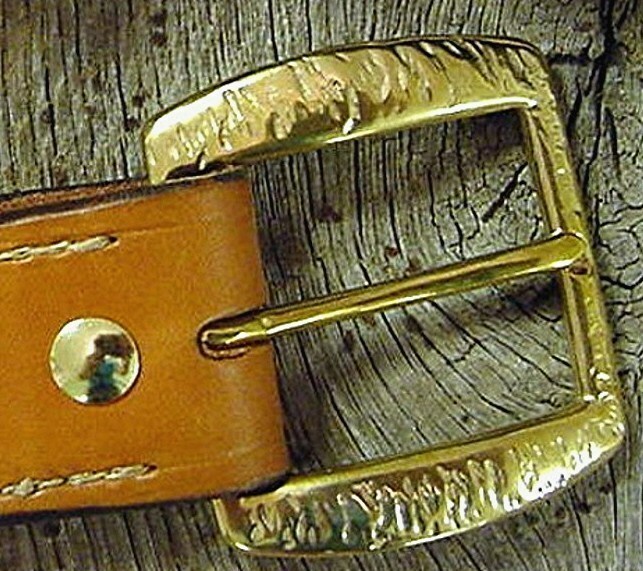 If a belt is purchased the buckle price will drop to $29.95. Each buckle is “thick” hand cast in the USA from virgin brass not melted down artillery shells like so many are. The original was hand engraved by a gunsmith and deeply relieved. It has an ergonomic tongue, curved to sit better on the belt. Currently they are available in yellow brass or are commercially nickel plated. 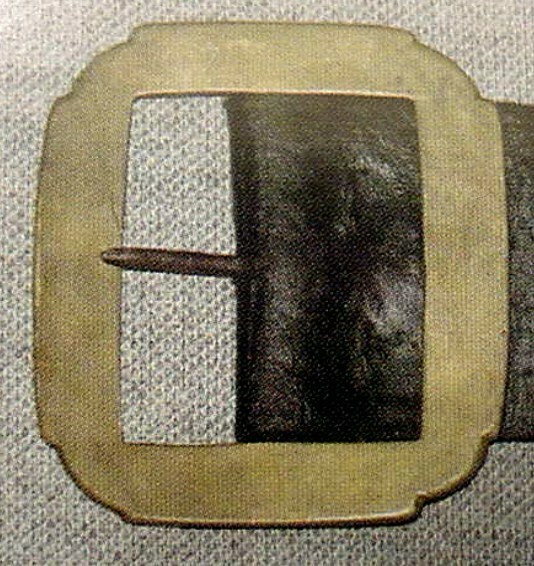 A certified 1816 Militia buckle that scholars feel was of the style worn in the battle of the Alamo for Texas Independence. See page 69 in the ultimate buckle study “American Military & Naval Belts,” by Dorsey. 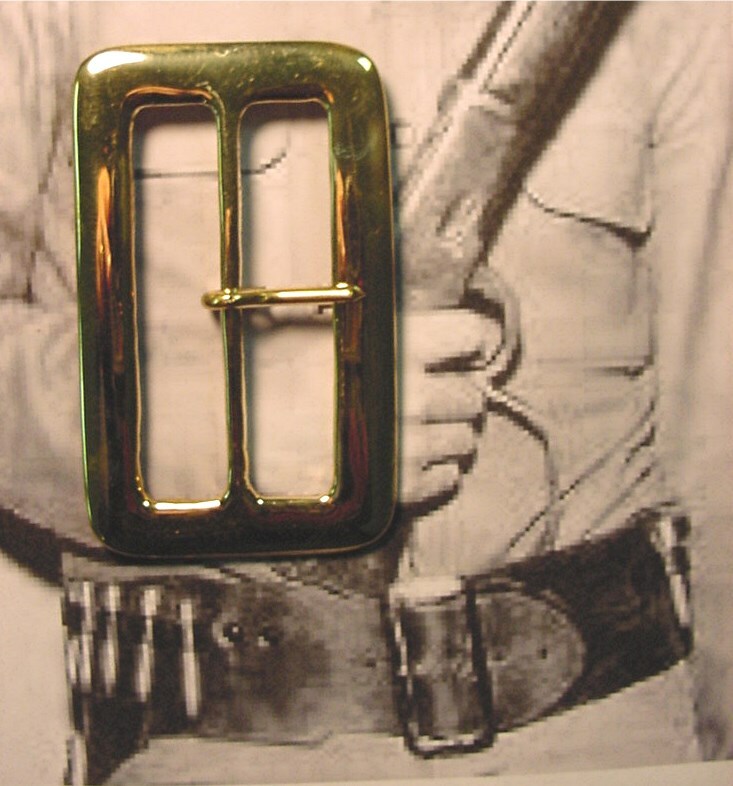 Large, brass, castle cornered militia buckle. (fits up to 1 3/4″ belt tongue). ~ 49.95. 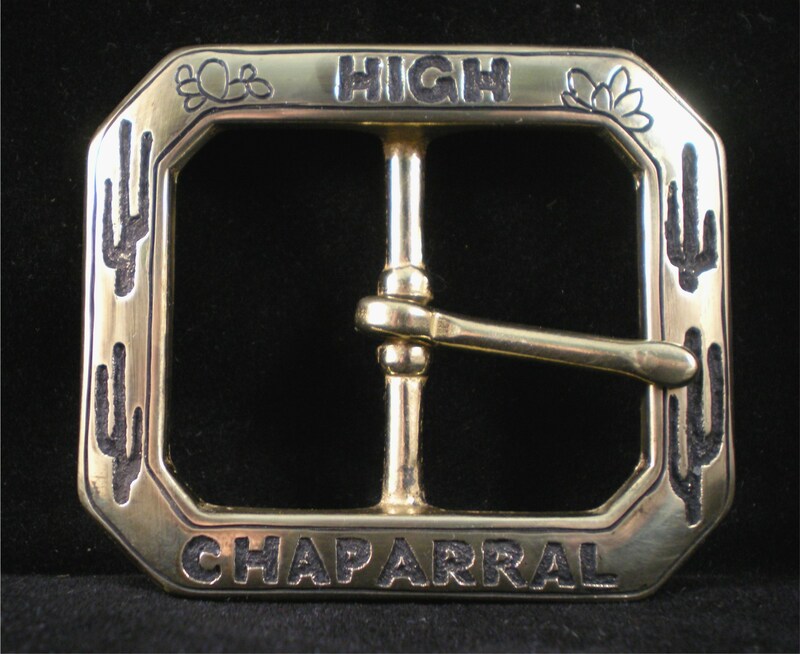 Oval Texas cowboy buckle engraved in the Old West L.D. Nimschke style. Large swirls deeply relieved~ $59.95 each . 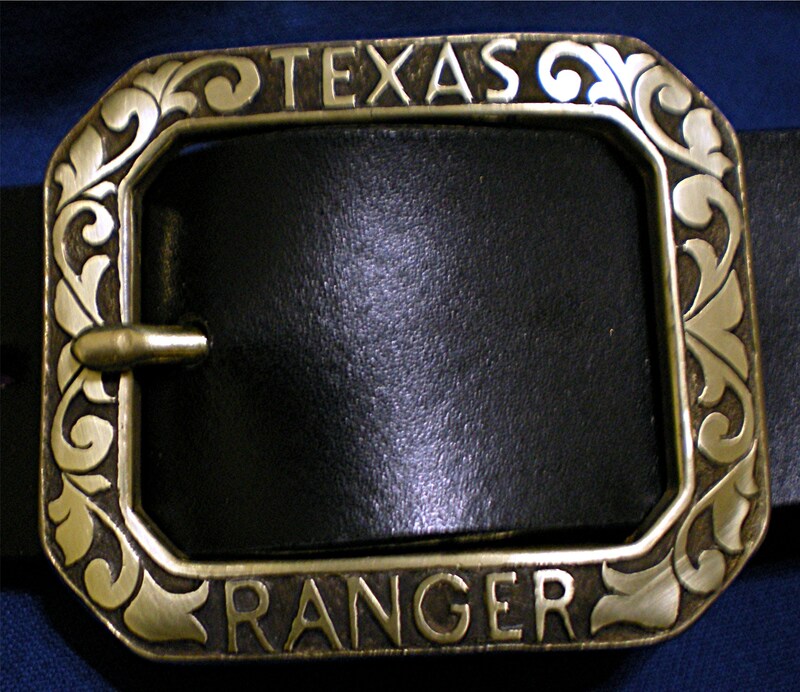 The Man With No Name wore this style western belt buckles in all of his Italian westerns. Correct hammered Andy Anderson style buckle cast from an original. $49.95 each . Let us know you saw them here and you can get an additional $5 off of the list price.